Micromax finally unveiled its highly anticipated flagship device Canvas 4 in Delhi. The device seems to be really packed up with impressive features and it will definitely hurt Samsung’s and other manufacturer sales graph in India. Most of the smartphone manufacturer don’t understand a simple fact about a smartphone which is a mobile device packed of good specs is not a smartphone rather it should have some smart features. 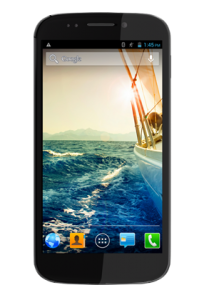 Here I start with the Micromax A210 Canvas 4. You can book your Canvas 4 now on the official website or if you’re not aware of the features of this device then come along with me to discover full specs and features of Micromax Canvas 4. Let me first tell you the unique features of this amazing smartphone because they are far worth then the specs. Device is made up of aluminum thus giving perfect tough look. It can be unlocked by just blowing up air on the display, yes its true! The rear camera features vertical panorama while all other smartphones supports this feature only in landscape mode. “Look Away” feature pause the video while you’re not looking at your device and when you look back then the video gets resume. Now you can run two apps on the display, thus getting into better multi tasking. To put a call on silent, flip the device upside down and to put it on loudspeaker then again flip it. 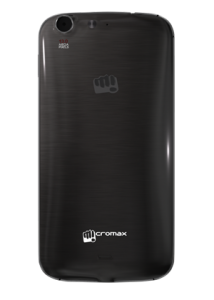 Canvas 4 comes with “Micromax M! Power” app which is a security app that can be used to bloc SIM card or even wipe storage in case you lose your device. Micromax will even provide you with a temporary handset but only for one year. So, the features in the device really seem to be impressive, right? If I was a buyer then this much information was far good for me to book the device but if you want to know the specs of the device then here are they. Burst mode, HDR, smile detection, panorama, touch focus, geo tagging, face detection, auto focus and wide range of scene modes. These were the quick specs of Canvas 4. Now I think you’re completely convinced and will definitely want to buy it. You’ve to pay only Rs. 17,999 for the device. Micromax is also providing lots of high quality games and apps for free in the device with an additional option to take smart flip cover. You can order the device and choose between two colors, white and smoke grey. My personal recommendation will be for smoke grey as it’ll look good in this color due to aluminum body.